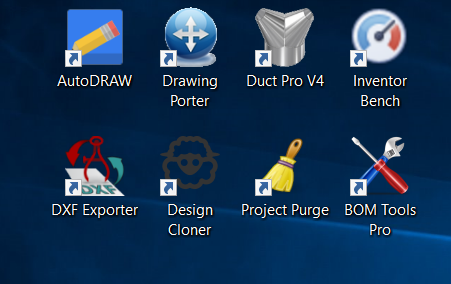 Micrographics’ Technical Director Pieter van der Westhuizen has created some very interesting and valuable tools for Inventor which incidently he calls Tools for Inventor!! There are quite a few and they help with the quick modelling up of ducting to enhancing the current BOM that exists inside of Inventor. Lets take a look at BOM Tools Pro. 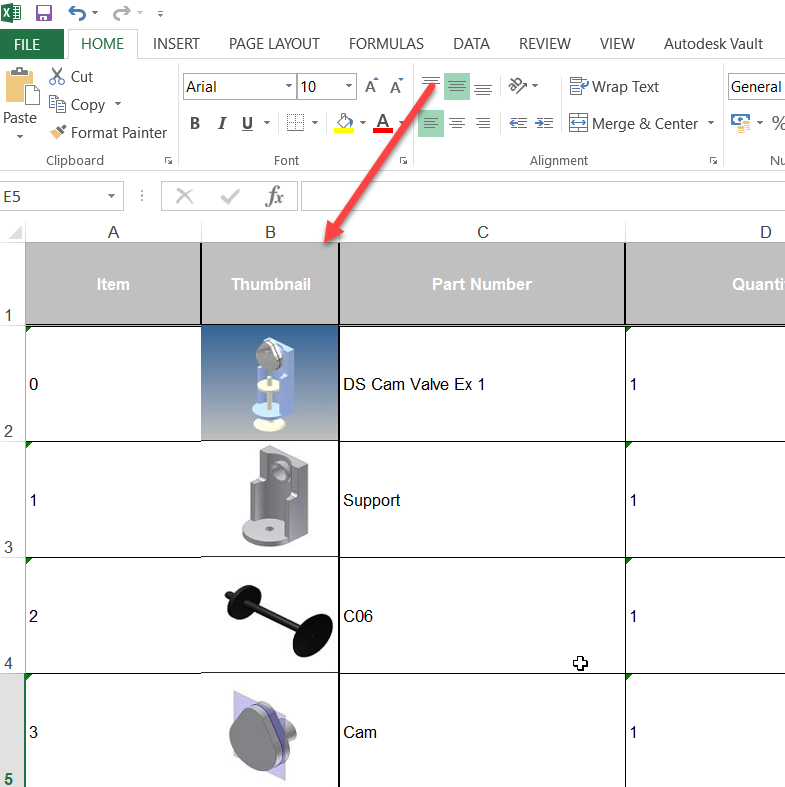 This application firstly allows you to create a BOM in excel WITH THUMBNAILS!!! Yes please. This was exported from Inventor. This was exported from BOM Tools Pro. So how does it work? Firstly make sure that you have the assembly open in Inventor. 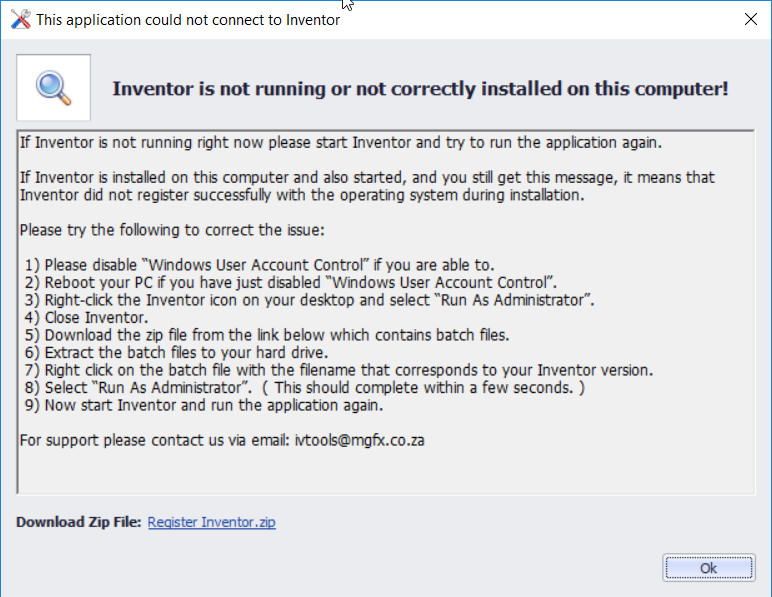 If you do not it will give you the following error. This will show all the parts and Sub-assemblies in the first level. It will not show any parts in the sub-assembly. This will show all the parts and Sub-assemblies in the first level. It will also show any parts in the sub-assembly. 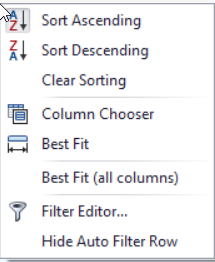 If you right click on any of the column headers, in either BOMTools Pro (left hand pic) or Inventor (right hand pic) you get pretty much the same options for sorting your data. 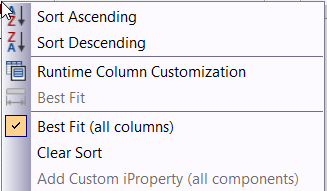 You are also able to choose the columns that you see and resize the column widths to suite how long or short the name is. 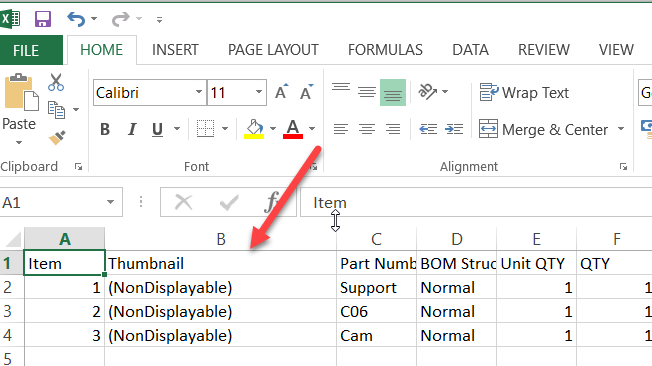 If you have added a custom iproperty value you can also have it appear in BOM Tools. 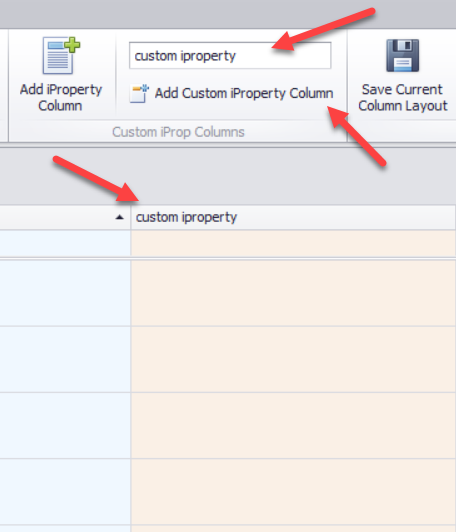 To get the custom iproperty column, type in the name of the iproperty and then click on Add custom iProperty Column. If you had the custom iproperty in Inventor it will not automatically populate. You will need to click on Load BOM and then it will populate.